Make the most of the outdoors with this 2 seater swing seat which is perfect for lazy summer days. 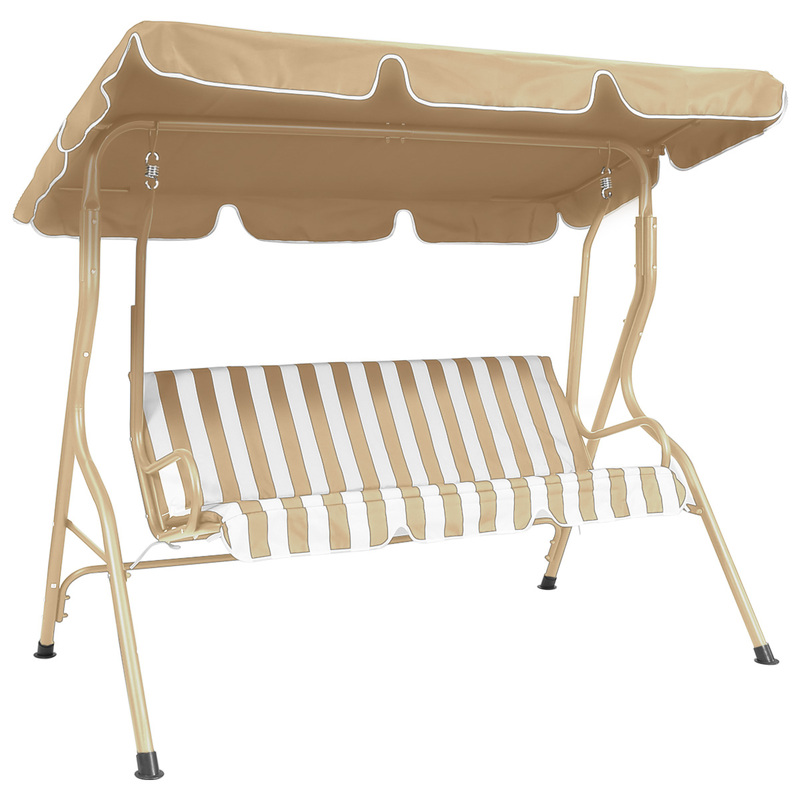 Featuring a canopy and thick cushioned seating, you can sit back in the shade and relax in comfort. Highly practical, this high quality swing chair will provide extra seating for guests, perfect for hosting family barbecues and gatherings. Crafted from a waterproof polyester, this stylish swing chair is constructed with a strong steel frame and can be left outdoors all year round. Available in a choice of either a plain or striped design, this swing seat is ideal for any garden or patio. With a timeless design, it will look great in any outdoor living space.